I undertook my research at the Welsh School of Pharmacy, Cardiff University. I was part of the Skin and Natural Products group and a member of the Skin Forum which organised some of the conferences I attended within the UK. My work was also partly based at Tenovus group (Centre for Cancer Research in the Welsh School of Pharmacy) among the clinical immunocytochemistry group. The latest stage of my thesis was carried out at the University hospital of Wales. My PhD project focused on the dermal delivery of a natural product (H. procumbens ) and its therapeutic effects. I analysed an extract I made from the secondary roots of the plant (a voucher sample of the extract was deposited at the National Museum of Wales, Cardiff, UK . ref V.2007.021.1) and each of its main constituents (glycosides) for transdermal delivery through in-vitro porcine skin. I also examined its effects on inflammatory mediators (COX-2 and PGE-2, LOX-5, iNOS) and its anti-viral properties on HSV-1. I used different vehicles in order to achieve the highest and least invasive delivery to the inner layers of the skin. Results suggested some reasons behind H. procumbens low effects contesting inflammatory symptoms compared to conventional NSAIDs. My research compared the extract made to some commercial products available in regards to delivery and anti-inflammatory efficacy. 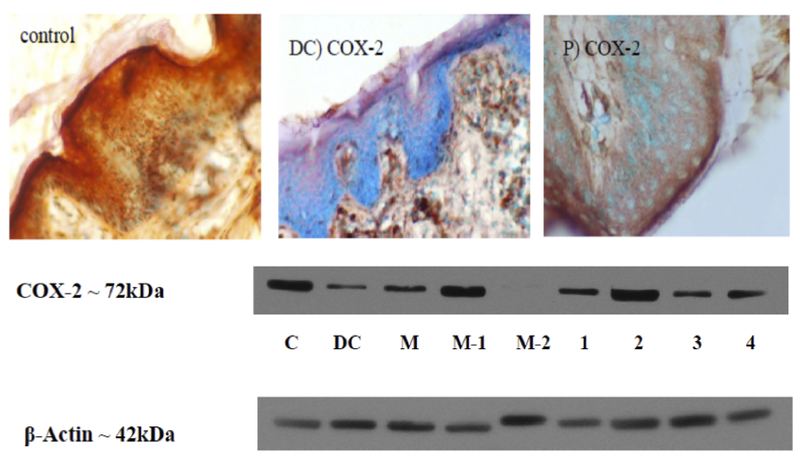 Figure 1 below shows the qualitative and quantitative effects of the topically applied H. procumbens extract, permeated residues and its major components through porcine skin layers on COX-2 expression (a major inflammatory enzyme). This was achieved using ICC (demonstrated by red staining) and WB respectively. Inflammation has been one of my main subjects of interest. I chose to do a dissertation on the symmetry of Rheumatoid Arthritis during my third year of the MPharm degree at The University of Bath. Pharmaceutics, drug delivery in particular and natural products in medicinal chemistry were two modules I enjoyed reading while being a student. My interest and knowledge expanded after the completion of my MPharm degree where my final year project was on asthma and drug permeation to the lungs. I therefore decided to pursue a similar discipline for my PhD and drug delivery through the skin was a new area I wanted to discover. I had just found the perfect group to combine all three fields of interest in my research. There is a need for improved therapeutic systems for inflammation in general. NSAIDs and steroids have been used for over 25 years. However, the non-specific inhibition of both isoforms of COX (a key enzyme in inflammation and pain) leads to gastric and bronchial injury which decreases patients’ adherence and tolerance. Finding the exact mode of action of an optimised extract of H. procumbens as a novel neutraceutical agent can play a great role in providing a multifaceted attack on the aetiology of inflammation. My research demonstrated, for the first time, that H. procumbens and its main components can potentially penetrate skin and reduce inflammation. Topically applied natural entities can put an end to low efficacy, high toxicity profiles and side effects of conventional therapy. I inspected the effect of glycosides from the extract was probed to determine whether there was any synergy in their mechanism of action. As a result I found one of the glycosides (harpagide) to be proinflammatory. This could explain the variable activity of the extract and the general low potency compared to synthetic anti-inflammatory drugs. The improvement achieved in H. procumbens constitution can lead to a better anti-inflammatory profile. Exploration of the structure-activity relationships of the main glycosides present in H. procumbens, may elucidate features required for active principles acting against pro-inflammatory expression and pathways within the cell. However, it must be emphasised that these promising findings relate only to the particular batch of powder used. This is because the commercially available H. procumbens-based products tested varied in both content and activity. In addition, the European pharmacopoeia which only specifies the percentage of harpagoside in a H.procumbens extract, should set a more stringent control whereby all glycosides should be standardised to an optimum for best therapeutic results. Finally, my research demonstrated for the first time that H. procumbens has virucidal activity towards the HSV-1 (herpes simplex virus-1). The glycosides, which had varied effects on the virus, still showed promise with potential to translate into a commercial product. 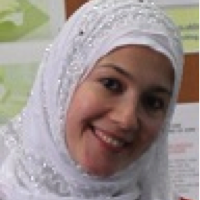 Dr. Nassima Abdelouahab is a registered pharmacist who obtained her Ph.D. from the Welsh School of Pharmacy, Cardiff University (UK) in 2009, followed by a postdoctoral research position at Nemaura Pharma Ltd, Loughborough (UK). Her work focuses on inflammation and dermal drug delivery systems in vitro. please leave your question and an email address so I can reply/help. Although not sure which one of my old flatmates -with the same name- you are and they all sound like very old achievements now :)but it’s always good to get a nice message. Thanks and hope you are doing great too! I am postgraduate student,just i would like to know how can i prepare harpagophytum procumben aqueous extract with high yield. You could leave an email address as a reply to this message and I can contact you to explain the different methods I used. I can suggest some ways to increase the yield.